First there was the US Dollar. Then came Lehman Brothers and the housing crisis. Next there was the Euro – until Greece imploded. Now it’s been recognised that the world needs another global currency for reserves and trades. Enter China. A ‘Reserve Currency’ is an internationally accepted currency that is held on deposit by governments, and is used by companies to settle trades. When you travel it’s never hard to find a currency exchange and they’ll always have US Dollars and Euros listed. Japan, China, India and all other Asian countries have vast holdings of US Dollars and Euros to ensure they can trade and grow. Yet in order to serve as a reserve currency the legal tender must behave. It shouldn’t change value dramatically. It shouldn’t ever be at risk of default. And it needs to be globally available. Against these three criteria both the US Dollar and the Euro fail the first two. So now a former advisor to the People’s Bank of China, Professor Xia Bin, suggests China’s Yuan can step in. 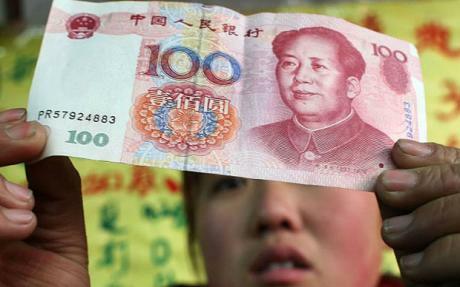 The Yuan, also known as Renminbi, is the official currency of China. Professor Bin spoke yesterday at the Credit Suisse Asian Investment Conference. He said instability in the US Dollar and Euro meant China was speeding up efforts to internationalise its currency. One problem with the Yuan is it isn’t globally available. So steps are being taken to settle that problem. That means companies operating within ASEAN countries could order goods from China and receive then settle an invoice in Yuan. To date that’s established in Singapore, Malaysia and Indonesia. Many have studies the effects on China of depegging its currency (see EuroJournals for a good article). Were the Yuan to float free there would be a period of change until it, too, settled into a comfortable trading band. Countries that leave its currency too long in an artificially high official rate soon develop a rampant black market. Today Myanmar (the country formerly known as Burma) has an official exchange rate of 8 Kyat to the US Dollar – and a black market rate of 820. China doesn’t have the same problem as street market conversions of US Dollars closely mimic the official exchange rate. There’s great confidence in the system. It may be a long time before you’re on holiday in Greece exchanging Yuan at the airport for Drachma (Oops – I mean Euros). But the arrival of the Yuan as a global reserve currency is long overdue, and will only serve to strengthen the global exchange and trade systems. Look in your wallet – see one of these?